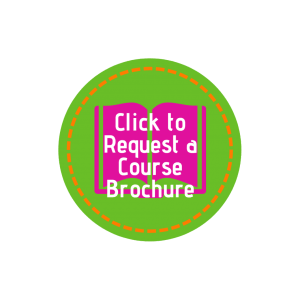 Search for your next course, or browse to find something which takes your fancy. A special weekend for the ‘new wave’ WIs emerging across the UK. This is not only the perfect getaway with the girls, it is also a unique opportunity to experience a selection of workshops covering all the latest trends in craft, and lifestyle. This includes three workshops with all materials or ingredients, two nights of accommodation, a demonstration on the Friday night, Saturday night entertainment, welcome drinks, breakfast, lunch and three-course dinners. Please note: No discounts will be applied to this event, except for Friends of Denman. Is it really possible to get fit and healthy without the discomfort that usually accompanies exercise? Unlike other forms of exercise, Tai Chi requires students to practice in the most unhurried, gentle and relaxed way possible in order to gain maximum benefits. Let’s get creative with making these wonderful Christmas willow crafts. Make items from the following willow Christmas trees, stars, an angel and a wreath. You will have seen this on trend script everywhere. The beauty of learning this script is it is easier to master and personalise, making it unique to you. You will be using a fine point nib which is perfect for left handers too. Practising the skills in this script, you will gain your confidence and finish the day by making a small beautiful piece for Christmas, such as a card, place name, gift tag etc. Using fantastic metallic inks with calligraphy, your work will look a million dollars. A fun 3 hr taster session to discover some of the possibilities of Powertex whilst making some decorative hanging Christmas decorations for your home. If you know how to work a double crochet stitch then you'll be ready to make your mini Christmas stocking that you can fill with choccies and give as a gift or hang on the tree. Pattern, hooks, sparkly and festive coloured yarns and full instruction will be provided. We will be making Christmas decorations using wrapping techniques with ribbon, fabric, card and glue. You will make at least three decorations. Join this fun workshop in the cookery school to enjoy making a pineapple chutney and a blackberry curd to take home to enjoy or give as gifts. The workshop will be a mix of demonstration by the tutor and cooking the recipes yourselves. All ingredients and jam jars will be provided to ensure a relaxing time in the cookery school. Please bring your own apron. Please select your preferred 3 workshops from the choices above, then ring Guest Services on 01865 391 991 to book. Workshops will be allocated on a first come first served basis. All final information, including workshop timings, will be sent out to you two months before the start of the course. A special weekend for the ‘new wave’ WIs emerging across the UK. This is not only the perfect getaway with the girls, it is also a unique opportunity to experience a selection of workshops covering all the latest trends in craft, cookery and lifestyle. This includes three workshops with all materials or ingredients, two nights of accommodation, a demonstration on the Friday night, Saturday night entertainment, welcome drinks, breakfast, lunch and three-course dinners. No discounts will be applied to this event, except for Friends of Denman. 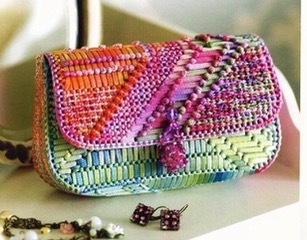 I designed this clutch bag and then it was a centre page feature in "Stitch", the Embroiderers Guild magazine. It is a lovely project that allows the stitcher to create fabulous areas of interest. Using any knitting ribbon, either plain or spaced dyed, the surface is covered with lots of textural stitches in glorious colours and can be embellished with beads, beads and more beads. Choose a contrasting silk for a dramatic effect to line the bag or a complimentary coloured silk if you prefer a subtle effect. A relaxing Summer Holiday in French fields without leaving Denman!! These pictures will be created using silk ribbons and embroidery threads to portray typical landscapes full of beautiful blooms and foliage. The art of sewing using silk ribbons combined with threads is relaxing, easy to learn and has rewarding results. Silk ribbon is also very easy to use as it is soft and malleable, while other materials can be too stiff. Packs of silk ribbons will be available to purchase from the tutor. This course is for the beginner as well as the more experienced stitcher. Embroidery threads, there will be a good selection of embroidery threads provided. Silk ribbons if you have them, but packs will be available for £15, including the background silk. Any inspirational seascape pictures or photos. You will be able to learn and practice to do plants, walls, fields and the many elements that make a landscape. 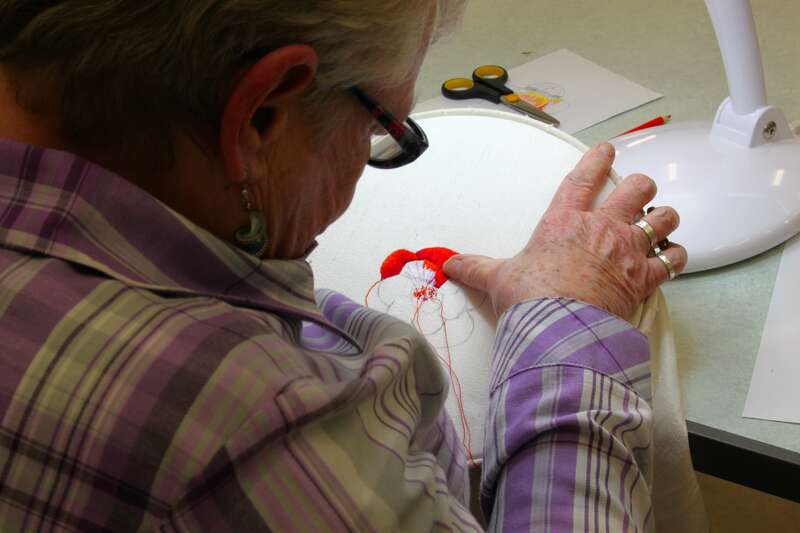 This course is open to all levels of ability including beginners to embroidery. You will work on a landscape design, designed by your tutor, incorporating many of the skills/stitches to continue to interpret your own pictures into embroideries. A variety of embroidery techniques will be demonstrated to create elements of the landscape and each student will get individual attention to develop their skills. There will be the opportunity to do the Orange Tree by Di van Niekerk which also has a number of ribbon and stumpwork embroidery techniques. Many students chose to do both! Embroidery hoops – 6” to 8” hoops, scissors, needles and glasses if you need them. Additional Costs: £7 for the a kit which the tutor will provide. If you have ever wondered about trying free machine embroidery and did not know where to start then this is the course for you. Aimed at complete beginners you will soon see just how much fun and versatile this contemporary technique is. You will also learn all about free machine applique and use fabric, ribbon and lace in your design. You will go home with a picture that you can frame or turn into a cushion cover. Come and learn this creative technique and turn your doodles into stitches. Brighten up your garden with a fabulous willow piglet and dragonfly. Starting the course off with a cute little willow heart, which can be decorated with a ribbon of your choice, then on to the willow piglet followed by a 5ft dragonfly which looks great on any fence or shed. A smaller dragonfly can be made if you wish. Learn the basic skills and techniques needed to create your very own willow sculptures for your garden or patio, including a lovely large willow flower. Starting with making a willow frame, we’ll continue with a free weave technique to finish off your piglet. Weaving the ears and plaiting a curly tails to finish him off. Finally, you will learn how to bind and weave with willow, to give you a stunning dragonfly. Using magazine pictures, photos and samples of ribbon work for inspiration, as well as demonstrations of flowers and foliage, create your own Topiary Tree full of beautiful blooms! A background can be lightly sponged on with paint before flower stitches are added to give a guide to your design. Silk ribbon is very easy and quick to use as it is soft and malleable, while other materials can be too stiff. This piece could then be framed or finished as a book cover, cushion etc. at a later date. This is a relaxing course and suitable for the absolute beginner as well as the more experienced embroiderer.Using pictures, photos and samples of ribbon work for inspiration, as well as demonstrations of flowers and foliage, create your own Tree complete with a very handsome Partridge! A background can be lightly sponged on with paint before flower stitches are added to give a guide to your design. Silk ribbon is very easy and quick to use as it is soft and malleable, while other materials can be too stiff. Needle felting is an easy technique using a barbed needle and a little wool. This piece could then be framed on the course or finished as a book cover, cushion etc. at a later date. Embroidery threads, although a range of coloured threads will be free to use. Embroidery hoop 5” if you have one. There will be some available to buy or borrow. Silk Noile for the base material will be available for £1 a piece. Embroidery threads will be available to use. Felting needles and Wool will be provided free. If you require further information, please contact Denman on 01865 391991. The art of sewing using silk ribbons combined with threads is relaxing, easy to learn and has rewarding results. Create beautiful seascapes and landscapes on this course, which can be framed, used as book covers or on a cushion at a later date. 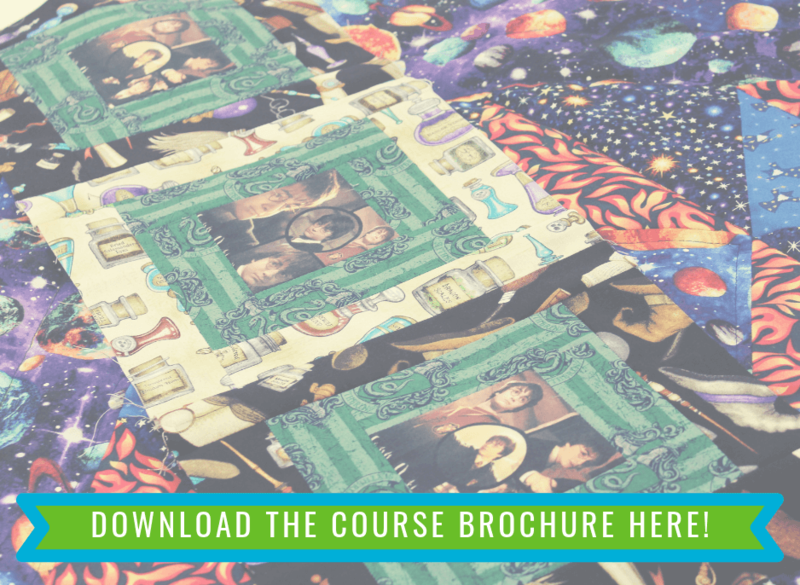 Using magazine pictures and samples of ribbon work for inspiration, as well as demonstrations of flowers and foliage, create your own stunning sea/landscape interpretations. A background can be lightly sponged on with paint before flower details are added. Silk ribbon is very easy to use as it is soft and malleable, while other materials can be too stiff. Please bring a sewing kit and various embroidery threads. Also any silk ribbons although packs of silk ribbons will be available to purchase from the tutor. Embroidery threads but there will be a good selection to use. Silk ribbon is very easy to use as it is soft and malleable, while other materials can be too stiff. Ribbon stitches are easy to master and as there are only a few to learn your picture will “grow” quite quickly. A background can be applied using an easy paint technique before flower/grass details are added, so the picture is roughly outlined to help guide the embroidered details. The technique of dying silk ribbons in the microwave will be demonstrated to enable students to continue the craft at home if desired. The finished piece can be framed or used as an inset on a book cover, cushion etc. Embroidery hoop 5/6” if you have one. Silk ribbons if you have them, packs of silk ribbons will be available to purchase. Any inspirational pictures or photos. Using photos and samples of ribbon work for inspiration, as well as demonstrations of flowers and foliage, create your own interpretation of your chosen corner of Denman’s beautiful grounds with silk ribbons and embroidery threads. Silk ribbon is very easy to use as it is soft and malleable, while other materials can be too stiff. A background can be lightly sponged on with paint before flower details are added, all flower stitches will be demonstrated then you can “plant” your garden at your own pace. This piece will be framed in a frame ready to take home. Packs of silk ribbons will be available to purchase from the tutor, for £25 including your Frame. Using pictures and samples of ribbon work for inspiration, as well as demonstrations of flowers and foliage, create your own embellished Photograph. There will be photos of Denman College, ready for you to design and stitch a beautiful garden around the house, or you could bring a personal photo of family, animals, or a favourite scene to enhance with flowers!! All flower stitches will be demonstrated then you can “plant” your garden at your own pace. This piece will then be mounted ready and framed on the course, if you wish, or at a later date. Silk ribbon is very easy to use as it is soft and malleable, while other materials can be too stiff. Embroidery threads although a good selection will be provided. Silk ribbons if you have them, but a pack will be available to purchase. Hoops will also be available to purchase or borrow. A relaxing course using silk ribbons and embroidery threads to create a stunning garden full of beautiful blooms. The College garden will be an inspiration for the various designs, including roses, daises, irises as well as foliage. A course for beginners and the experienced embroiderer a like. Using magazine pictures and samples of ribbon work for inspiration, as well as demonstrations of flowers and foliage, create your own interpretation of beautiful blooms. A background can be lightly sponged on with paint before flower details are added, all flower stitches will be demonstrated then you can “plant” your garden at your own pace. This piece will then be mounted ready to frame at a later date. Silk ribbon is very easy to use as it is soft and malleable, while other materials can be too stiff. Please bring a sewing kit and various embroidery threads. Also any silk ribbons although packs of silk ribbons will be available to purchase from the tutor. Create your own beautiful “Poppy Field” on this relaxing course, using silk ribbons and threads, with time to work at your own pace. The background will be sponged on with paint to create the scene, and then the ribbon and threads stitches can be added to complete your unique images, mounted and ready to frame! All stitches will be explained step by step, as well as some extra “flowers” for future projects. Using magazine pictures and samples of ribbon work for inspiration, as well as demonstrations of flowers and foliage, create your own interpretation of beautiful blooms. A background can be lightly sponged on with paint before flower details are added, and there will be a choice of a bouquet or garland of flowers. This piece can then be mounted, ready to frame at a later date. Silk ribbon is very easy to use as it is soft and malleable, while other materials can be too stiff. Please bring a sewing kit, silk ribbons will be available to purchase from the tutor. A relaxing course making a unique picture using silk ribbons and embroidery threads to create a beautiful bluebell wood. Using photos and ribbon embroidery samples for inspiration as well as tutor demonstrations, it will be wonderful to see various scenes come to life using a few simple stitches. There will also be a demonstration on dying silk ribbons in the microwave so any colour ribbon will be available! A course for beginners and the experienced embroiderer alike. Imagine a flower border filled with stunning tall Delphiniums in all shades of blue and some pink, interspersed with white and lemon coloured Daises, all created in silk ribbon and thread. Silk ribbon is very soft and malleable, so is easy and quick to work with, forming beautiful flowers with ease! Your unique picture will be mounted ready to be framed at a later date. This course is suitable for beginners. This relaxing course using Silk Ribbons and threads is a lovely way to spend time stitching stunning flowers, at your own pace. Resulting in a beautiful unique piece of work. Ribbon embroidery grows quickly and is easy as the silk ribbon is very malleable and enjoyable to use. 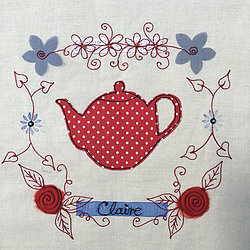 This course is for beginners as well as the more experienced embroiderer. A relaxing course creating a unique picture using silk ribbons and embroidery threads to create a stunning group of beautiful snowdrops. Snowdrops are such a wonderful sight to herald in a new year, and are very easy to stitch! A course for beginners and the experienced embroiderer alike. Using magazine pictures and samples of ribbon work for inspiration, as well as demonstrations of flowers and foliage, to create your own beautiful Christmas designs. All techniques and materials will be demonstrated and students are free to work at their own pace to enjoy creating! The stitches are easy and move quickly so it will be possible to make a few unique cards to give to special people, or you might choose to frame your picture to give as a personal gift. Silk ribbon is very easy to use as it is soft and malleable, while other materials can be too stiff. Be warned…silk.ribbon embroidery can be addictive! Personalise a T-Shirt in 100% cotton; transform it into an original summer top with easy to apply cut-out motifs. Choose your motifs from a selection of printed fabrics: flowers, leaves, hearts, birds & bees. The motifs are fused in position and can be over-stitched or decorated with narrow ribbon, tiny buttons or beads. Bring along your own 100% cotton T-Shirt, or choose from the white T’s provided. A two night residential course introducing you to the basic skills and techniques of willow weaving. Throughout the two days, you will make a willow flower or two for either outdoor or indoor use and a willow heart to hang from a wall or door, decorated with a ribbon of your choice. You will also make a wonderful willow dragonfly to decorate your garden shed or fence, followed by your very own willow piglet. A must have for all gardens. Extra approximate material cost of £30. Not sure what to search for? Why not try some of these themes… Or search by the tutor name!